Paul divided Ephesians into two clear segments; applying the truths of the first makes possible the actions and lifestyle of the second. 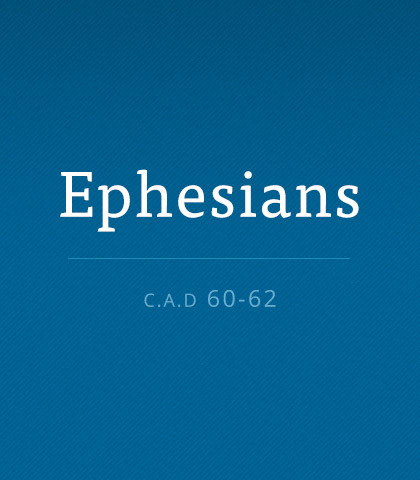 Read more about the book of Ephesians. Some would say humour, like music, defies analysis. It is too complex, diverse, and personal. How do we decide if we have the freedom to be funny? It is a proven fact that each year termites destroy more structures than fire does—but it’s always the fire that makes the headlines, not the termites. This is also true in a marriage. Most homes are not destroyed because of enormous, headline-making fires…but because of the quiet, gnawing, unnoticed, irritating insects who eat away at the troth, or trust, in a relationship year after year. Though often overlooked in our comfortable society, laziness is a dangerous sin…with the potential to cripple us spiritually. Chuck Swindoll calls us to begin actively pursuing right living…rather than indulging in slothfulness. Do you know what the basic needs of your spouse are? When needs aren't met it's easy for a relationship to find itself in a state of disrepair. Here are the five major needs of husbands and wives. Something I’ve learned this year is good intentions don’t effect change, action does. Men, take time each day to affirm and encourage your wife. Honouring her is a role that only a husband can fill. Always living in the moment isn’t easy; there are so many distractions. But when you embrace each moment you begin to live life to its fullest. True commitment doesn’t change with shifting fortunes of life or with the ebb and flow of feelings. Commitment is a promise made once for all time and then confirmed by the daily decision to stay rather than leave. Marriage is through the hard times, when the fun and games have passed. When you stand together like steers in a blizzard, Ephesians 5 makes sense in a whole new way.